Marti Murchison is a textile artist and craftswoman, based in the south east of England. 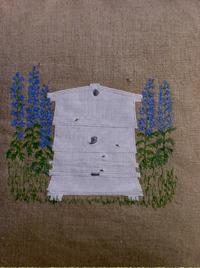 Her work uses techniques such as appliqué, patchwork, collage, and machine and hand embroidery. 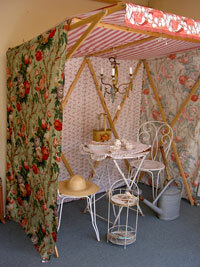 It is inspired by folk art and rustic textiles, particularly quilts. Where possible, Marti prefers to use recycled fabrics and materials which she has been actively sourcing and collecting for many years. 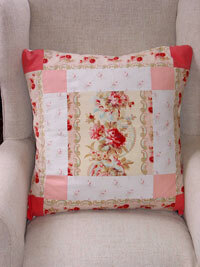 Examples of her work include bespoke handmade quilts, bags, cushions and pictures. She also grows her own lavender which is used in some of her pieces. As well as producing new items, Marti restores old furniture and textiles, complementing the originals with her own, unique style.